Cocktail dresses. As regular clothing, cocktail and dresses for important events are meant to be flattering and fit your body the best possible. 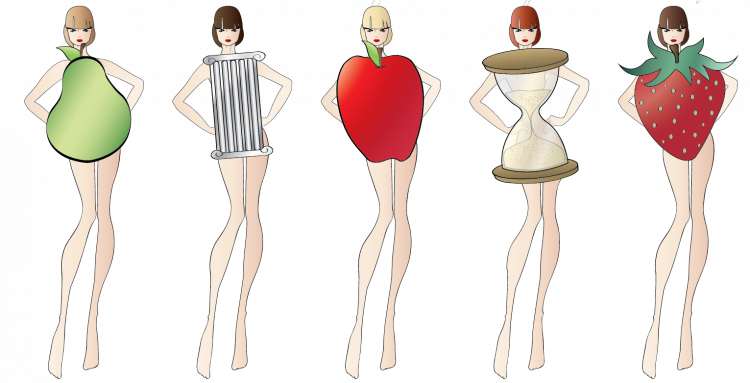 Did you know that depending on your body shape, there will be some dress shapes that will fit you better than others? There are plenty of dresses and different styles out there that will make you look amazing whatever your body shape is, but... Do you know all of them, and how you can make the best of yourself wearing a cocktail dress? In collaboration with Sherry London, I'll show you how! Do you already know which is your body shape and what cocktail dresses flatter you the most? Apple shaped. Apple shape bodies have slightly larger upper body compared to legs, and are usually more rounded shape around the midsection (specially waist and breast). The most flattering dresses are those which skim your body by creating an elongated silhouette. An V-neck will show your cleavage as well as bringing everybody's eyes upwards instead of outwards. Single-color cocktail dresses will probably look best as they help to unify and elongate visually your body shape. Pear shaped. Maybe the most common female body shape, you are pear shaped if your hips are wider than the rest of the body. Draw attention to your upper body to balance your proportions by wearing embellished bodices, fancy or strapless necklines. A-line or flowing skirts will conceal your hips' shape, and go for longer lengths to avoid creating a "band" of fabric around your hips. Show off your waistline with a fitted dress or belt. Rectangular shaped. If your waist isn't very defined and your body has mostly a straight shape even at hips and shoulders, chances are you are rectangular shaped. To create the illusion of a curvier figure, look for slimmer cocktail dresses at the waist or details like peplums. Like in pear shape, it would be nice to draw attention to your upper body using patterns, embellished bodices, different and bright colors on top and bottom or interesting necklines. Avoid loose dresses with poor fitted silhouettes. Hourglass shape. If your hips and shoulders are almost the same width and you have a much narrower waist, congratulations, you're hourglass shape! A fitted cocktail dress that highlights your curves is a sure win, so look for gowns and dresses that will outline your curves, defining your waist and avoiding adding extra bulk to your shape. Try fitted bodycon or shift dresses and experiment with necklines and different skirt lengths. Inverted triangle shape. If your hips are narrow and your shoulders are broader with large bust, then you are triangle shaped. The best dresses will be the ones that balance your proportions and stop you from looking too heavy on top. Scoop necks and V-necks will help to create a nice and classy upper body shape. Avoid any detail around the shoulders and when it comes to skirts, look for cocktail dresses that add some volume around the hips. Helpful tips! Have a fun week!